Hopefully this post is finding everyone relaxing and enjoying some time off school. I know some of you have been on break for ages--and others just wrapped up your school years this past week. If any of you are looking to "recharge" your reading instruction for the next school year, I thought I'd showcase three of my favorite professional books on the topic! 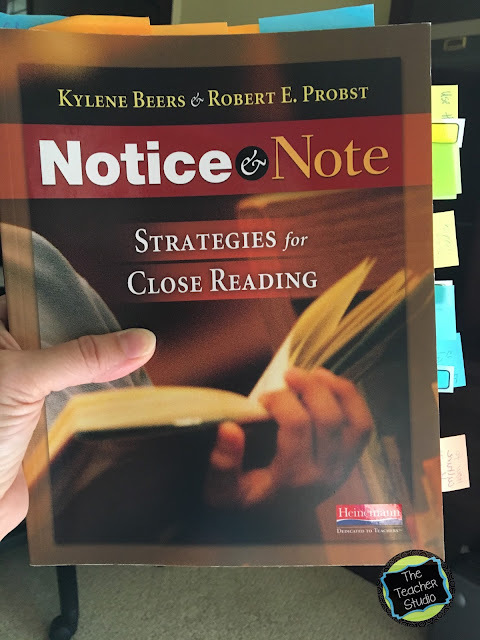 Nancy was kind enough to grant me an interview last year where I shared with her some of the questions my own teammates and readers have had about "close reading"--what it IS, and what it is NOT. It's a trendy term, for sure. If you want to read more, check out the interview by CLICKING HERE. This book really was a gift for my team. 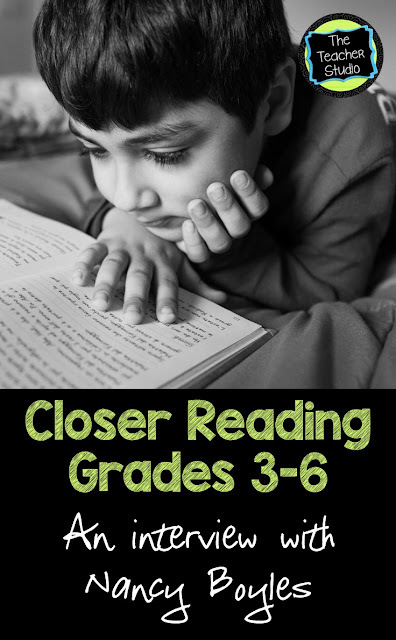 We did parts of it as a book study, and it really helped us get on the same page about how we were going to define "close reading" and how we could see it helping both our whole class instruction (which it did) and our options for interventions with students struggling with comprehension (this is what we are working on now). 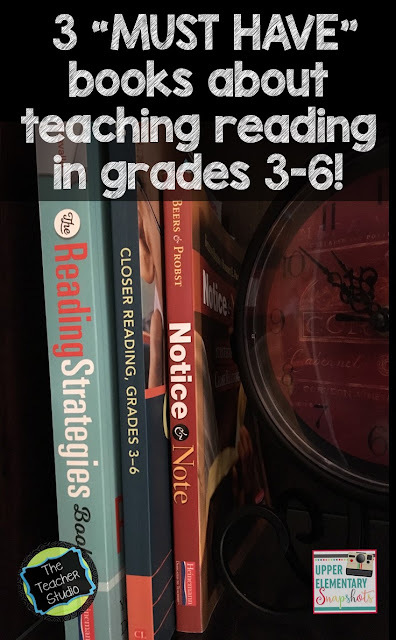 If you want to read more about this topic, I have found her book to be the easiest, most practical guide about how to get started making changes in your reading instruction. The book is geared specifically for intermediate students, so it is a perfect match for what we do on a daily basis! OK...this book was a total game changer for me. Seriously. I always thought I was a pretty decent reading teacher--especially with my "think alouds" that I would do with both picture books and chapter books. What this book made me realize is that there are certain elements in good literature that a few readers notice naturally--but MOST students do not and need them explicitly taught! 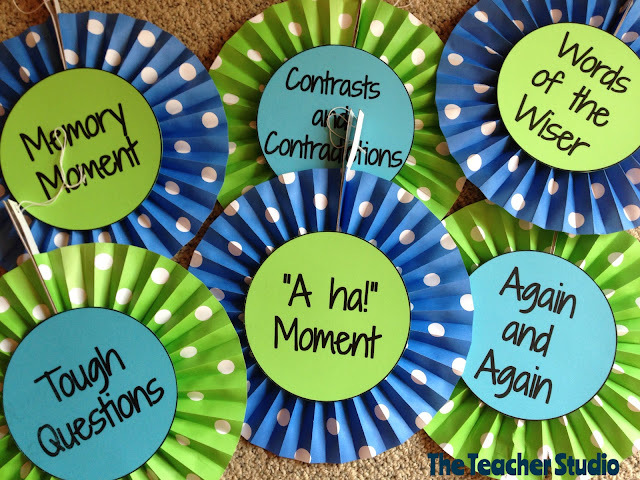 Once I started doing so, I could not BELIEVE the shift in discussions in my classroom! Honestly! Students not only applied this during our read alouds--but during their book clubs and even independent reading! I am absolutely positive that this book changed the quality of my instruction. In a nutshell, Beers writes about six "signposts"--elements found in almost all novels (after a very in depth study of many books). She talks about how identifying and studying these "features" can help unlock comprehension for many students. For example, one such signpost is "Words of the Wiser"--my students LOVE to point this one out! Have you noticed in many many books, there is a character that shows up occasionally (or maybe even only once) to prove some insight or important information to another character who is going through something? Once students start to recognize this in the books they read, it helps them realize that this is a critical part of the story and they need to tune in. I am making this far more simplistic than it really is--and the book does a WONDERFUL job discussion text complexity, close reading, and many other critical literacy concepts. This is a "must have" book for anyone who teaches reading in grades 4-6, in my opinion! Not going to lie...had to make some fun mobiles a few years ago to have hanging in my room to showcase them! This is a very interesting book in that I look at it almost as a reading teacher "menu". 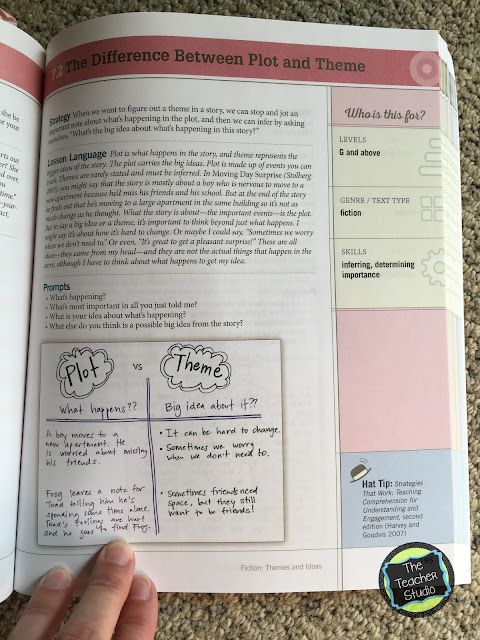 I found it extremely helpful last year when I was planning instruction for my intervention groups...I had found myself doing the same old thing over and over--and Serravallo's book was the perfect place to go to try to shake things up in my own mind. The book is organized by reading skill cluster--"Supporting Pre-Emergent and Emergent Readers", "Supporting Comprehension in Fiction", "Teaching Fluency", and so on. 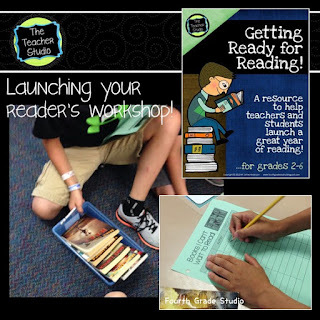 Once you know what you are working on with your class or small group, take some time to browse through the section and get inspired with lesson ideas, anchor charts, and more! I love that she stresses what reading level "band" the lessons are appropriate for...I had one kiddo who was reading at a first grade level last year...so that is a nice feature as well. The fact that the pages are so well organized is a bonus--and just leafing through it is like looking at a Pinterest board full of reading lessons! I think it's really important as we plan for our next year, to be really thoughtful of the amount of "real reading" our students do. It is so easy to get caught up in standards, and high stakes tests and skills--and forget that research clearly says that the best way to learn to read and write---is to read and write! and other skills are an important part of my back to school reading instruction. I want to make sure my students are actually READING when it's time to read! I use a lot of the information in this resource to help guide me in case you feel this part of your school year could use a new twist. Thanks for stopping by and have a fabulous and safe Fourth of July!